After using my Lady Dior with my Louis Vuitton Insolite wallet, I decided it was just too big and bulky for the bag. It’s such a great wallet, it wears amazingly well and is perfect for everyday however, I don’t feel it’s suited to the Lady Dior. I wanted something smaller, delicate and black. 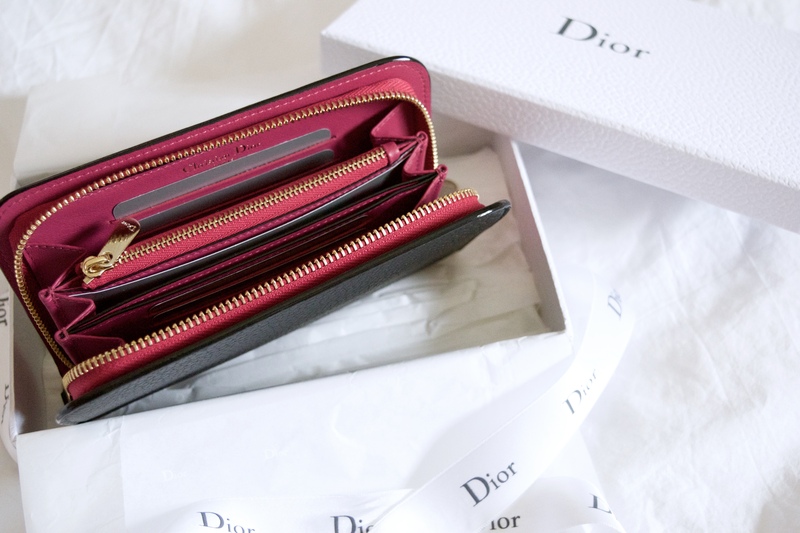 This led me to my Christian Dior boutique once again, to go through as many Dior wallets as I could to find ‘the one.’ I ended up going for the Medium “Diorissimo” Voyageur wallet in black calf leather and contrasting Rose Indien interior with champagne gold hardware. I wanted something smaller than my LV, and so this medium size is perfect! It’s made from an absolutely beautiful textured calf leather and so will resist scratches from the zip of the Lady Dior. It houses eight card slots, a zipped coin compartment and an interior middle pocket. 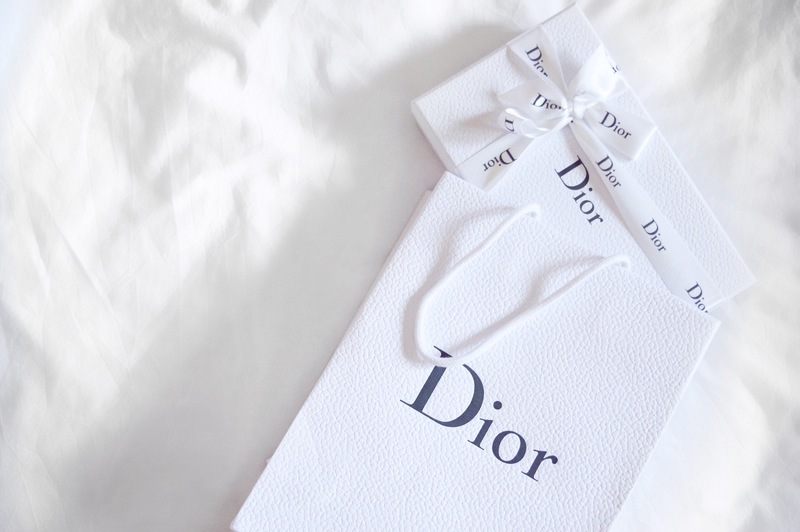 It also comes with the detachable Dior charm for added elegance. I absolutely adore this wallet, it’s a beautiful and convenient size without being too small. It’s classically chic but still has character and charm. Once full, the wallet zips with ease and isn’t bulky. 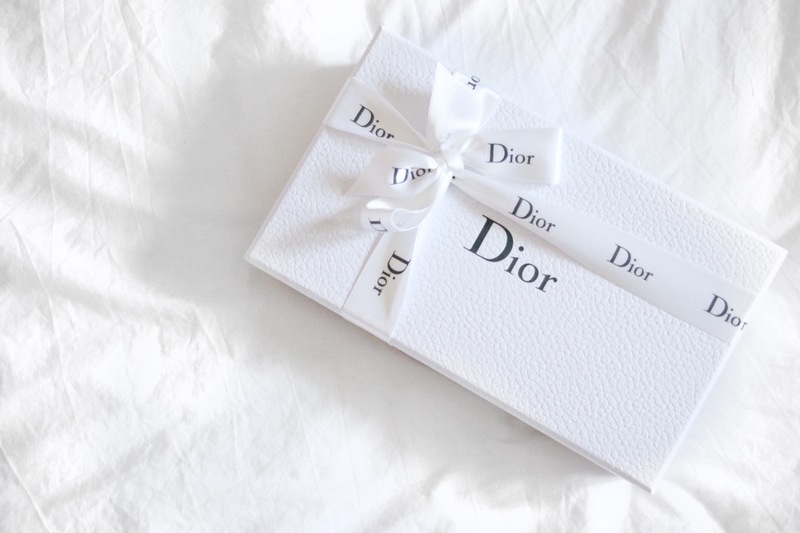 It’s the perfect companion for my Lady Dior without being in the corresponding Cannage stitching and it came beautifully packaged. 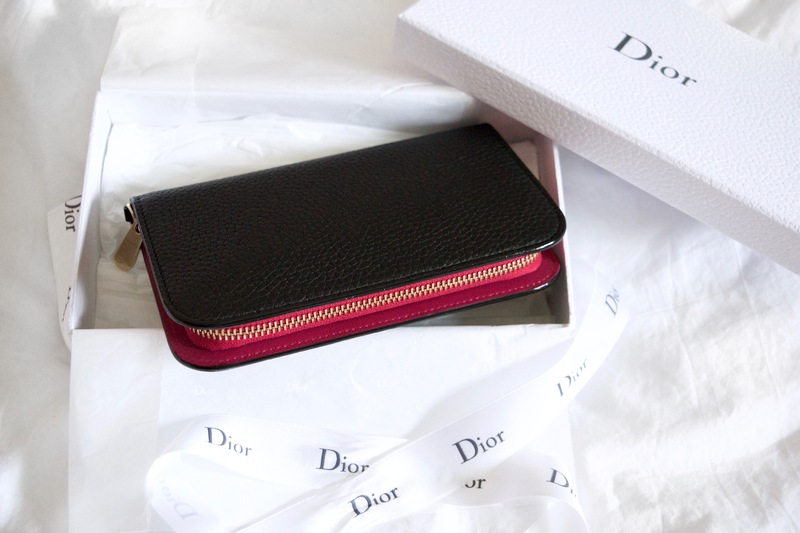 The Diorissimo wallet was a really gorgeous addition to my 21st Birthday and I think its the perfect wallet to grab when you don’t want to take your whole bag – perhaps when you need to run out and pick up some macaroons? O M G how lovely!! !